A fantabulous club in Bodrum operating since 1979! Foot-tapping music, groovy ambience and great food make it a perfect hangout for late night. Many popular DJ’s present their talent here and there are also shows taking place periodically. How popular is Halikarnas The Club? People normally also visit Pedasa Antique City while planning their trip to Halikarnas The Club. 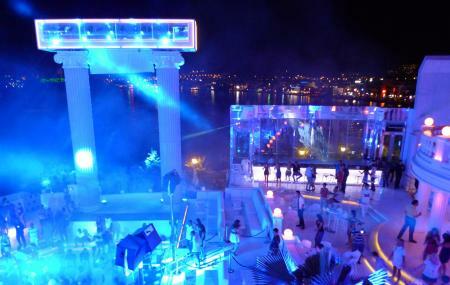 The best night club in Bodrum with huge different parties every day! Recommending to see every tourist! It was a very good place. But it is closed now. I remembered my old days when I visited there.